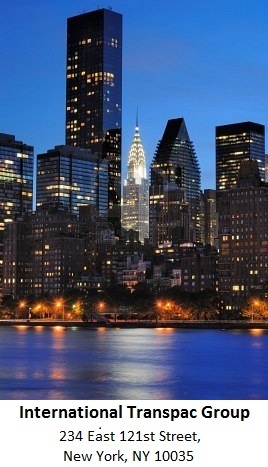 Since 1969 International Transpac Group has provided New York, New Jersey, Connecticut and customers nationwide with a full international relocation service. We provide a comprehensive service from beginning to end. With over 43 years’ experience we understand the challenges associated with international relocations and overseas shipping services, we specialize is all types of International Relocation, which includes corporate and residential relocations, Auto transportation as well as export packing, crating and shipping of antiques and fine arts. International Transpac Group is fully regulated by FMC, Federal Maritime Committee.